Welcome to the Essiac Circle of Friends home page. We provide the herbs to make Essiac tea just like Rene Caisse made it! Our information is based upon the research and documentation of Sheila Snow* and Mali Klein, who have collectively written five books about Rene Caisse and Essiac tea. We also base the Essiac formula and recipe on Mary McPherson's Essiac sworn affidavit, the only legal evidence of the true Essiac formula. According to their research and documents obtained from the Sloan-Kettering Cancer Research Institute, Rene Caisse stated that sheep sorrel roots are "very essential" to the Essiac tea formulas. Our site is one of only a few sources worldwide for the herbs to make Essiac tea with the ENTIRE sheep sorrel plant, roots included. Sheep sorrel roots are much more potent than the leaves and the roots contain nutrients which are not present in the leaves. In fact, the potent sheep sorrel roots don't even taste like the leaves--as if they are an entirely different herb! Therefore the effect on the human body of three-year old roots is much different than the leaves. Beginning in the 1920s Rene Caisse experimented with terminally ill patients and laboratory mice using various herbal combinations and developed several formulas for promoting healing in a variety of illnesses, including cancer and diabetes. Her most well-known formula is the classic four-herb Essiac tea: Burdock root (cut), Sheep Sorrel (whole herb, powdered, including root), Slippery Elm inner bark (powdered), and Turkey Rhubarb root (powdered). This was the formula that Nurse Caisse was using near the end of her life after more than 50 years of research. Rene Caisse kept her formulas secret except for only a handful of people. After her death, Dr. Gary Glum released the four-herb formula to the general public after purchasing it in the US in 1985 from one of Rene's former patients. Later, Rene's best friend, Mary McPherson, recorded a sworn affidavit containing the same four-herb Essiac formula, formally entering the classic Essiac formula into the public domain for everyone to use. Mary McPherson was the only person that Rene allowed to make Essiac tea for her cancer patients. (For more information please read the notice at the bottom of this page). "If it works, don't change it." -- Rene M. Caisse, R.N. *Sheila Snow worked directly with Rene Caisse and is the most credible Essiac historian. Sheila spent 27 years compiling a priceless Essiac Archive collection of Rene Caisse's personal papers and correspondence, legal documents, the only existing clinic case records, many hours of tape recorded conversations, memorabilia and other documentation of Essiac history. We use organic whole herb sheep sorrel and we specifically add powdered sheep sorrel roots just like Rene Caisse did. The addition of sheep sorrel roots makes our Essiac tea higher priced than most suppliers because sheep sorrel roots are very expensive to grow and properly process. And we tell you just how much sheep sorrel root you are getting! Click on the "Growing Methods" button and "Harvesting Roots" button above to learn more about how we do it. Click here to read about our Essiac Herb Quality. Our herbs are double-sourced to help ensure a balance of soil nutrients. Although the addition of precisely measured amounts of sheep sorrel roots significantly increases the expense of our Essiac herbs, our concern for quality makes our Essiac tea herbs the highest quality and highest potency Essiac tea herbs in North America! Click here to find out why our sheep sorrel roots are so special. Our herbs are properly dried, prepared, thoroughly mixed and ready to go to make home brewed Essiac tea. 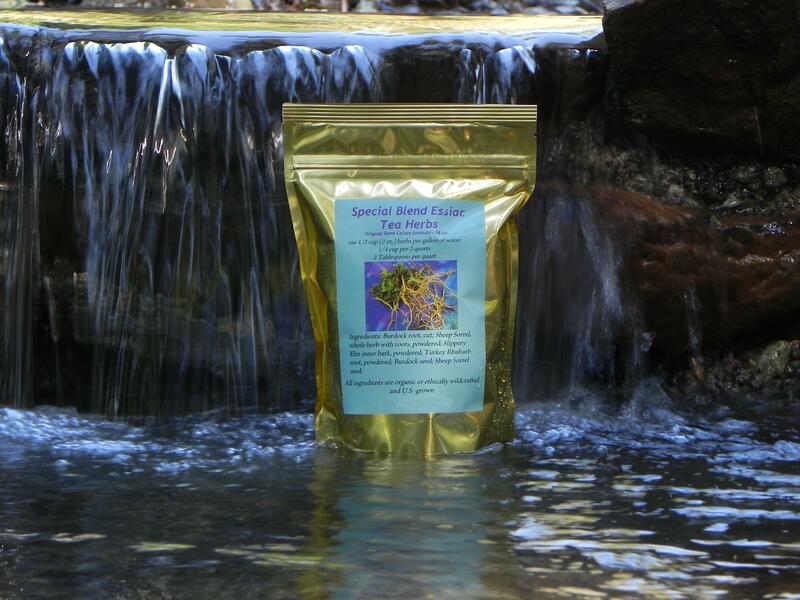 Our sheep sorrel root is included in exact quantities as listed on each label. We mix the herbs up in small quantities as Rene Caisse did, so you can be assured that our products are of the utmost freshness and quality. The sheep sorrel roots that we use as part of the Essiac formula are grown naturally using organic methods. They are grown without any pesticides, herbicides or artificial fertilizers in northern Idaho in mineral-rich soil. The sheep sorrel leaf, burdock root, slippery elm and turkey rhubarb root are certified organic. All four Essiac herbs are grown in the US and are not irradiated. BUYER BEWARE: There are only a few websites that claim they include sheep sorrel roots in their Essiac herbs. However, an unethical company could only add a pinch of powdered sheep sorrel roots to a pound of sheep sorrel leaf and legally say that the roots are included. Obviously, such an insignificant or small amount of root will have negligible effect health-wise. Therefore the only ethical way to prove that roots are included is to state the exact percentage of roots in relation to the total sheep sorrel content and disclose with pictures how the roots are separated from the top of plant. Essiac tea should contain at least 10% sheep sorrel roots. That translates to a minimum of 1.6 ounces of roots in every pound of sheep sorrel herb. Standard farm machinery cannot accurately separate the roots from the tops. This can only be done by hand in a labor-intensive, time-consuming effort. Therefore it is very expensive to grow and harvest the roots. 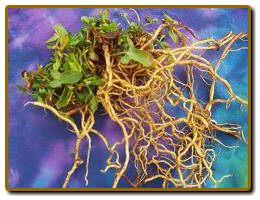 Due to the high labor costs and smaller root size sheep sorrel roots are more than twice as expensive as ginseng or goldenseal roots. However, it is not practical or affordable for an organic farmer to employ many workers to hand-trim the roots from the aerial part of the plant. For this reason you will not be able to find a credible sheep sorrel root supplier on the internet. There are plenty of cheap "Essiac" imitations on the internet. They are cheap because they do not add sheep sorrel roots (in spite of what they may claim on their website). Since Rene Caisse stated that sheep sorrel roots are "very essential" to the Essiac formula, they are falsely claiming it is Essiac. If sheep sorrel roots are not included in sufficient amount, it is not Essiac. We are aware of at least one Essiac website that fraudulently claims to have included sheep sorrel roots. Therefore they do not tell you how they grow and harvest them and show pictures of their operations like we do. Also, several websites claim that Essiac tea has eight herbs instead of four. This is false information that has been disproven with legal documentation from Mary McPherson and Sheila Snow. Click here for more information about these eight-herb teas. To see how we grow and harvest sheep sorrel roots click on the "Growing Methods" and "Harvesting Roots" links or the buttons at the top of this page. Essiac NorthWest, Humbleweed, and BE WELL Inspirations and many others have all contributed to the Essiac Circle of Friends, a natural society of like-minded people continuing traditional native herbal healing in the spirit of the Seven Fires Prophecy. 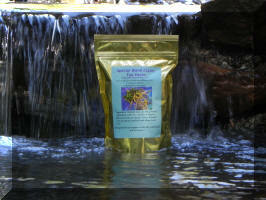 The Essiac Circle of Friends is a cooperative effort to provide the highest quality Essiac tea herbs on the planet. It is not in itself a corporation or business but some of the people involved have started their own retail outlets to provide these high-quality herbs to the public. We are the people who plant, grow, harvest and supply these high-quality herbs to those in need. The Circle has evolved over the past decade with various people contributing to it and then moving on in the ever-changing ebb and flow of life. * IMPORTANT NOTICE: We do not sell nor are we associated with the trademarked (TM) or registered (R) "ESSIAC" products that are sold by other companies in Canada and the US. We only sell the herbs so that people can make Rene Caisse's tea in their own homes. 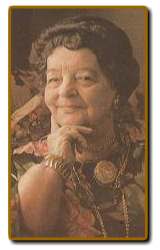 Rene Caisse never registered, patented or trademarked "Essiac" which was simply her last name spelled backwards and was originally derived from a native American herbal remedy for cancer. The word "Essiac" was in common usage in the 1930s, decades before anyone tried to corner the market by "registering" or "trademarking" the word "Essiac". Furthermore, we only use the "Essiac" formula which Rene Caisse's best friend, Mary McPherson, officially entered into the public domain in a sworn affidavit in 1994 in Bracebridge, Ontario. This formula uses Turkey rhubarb root which is much more pleasant tasting than the Indian rhubarb products on the market (which is why Rene Caisse switched to Turkey rhubarb in her final Essiac tea formula). The HealthFreedom.info website has posted Mary McPherson's "Essiac" formula affidavit here. This is the formula we use. We include sheep sorrel roots in all our Essiac tea products at precise percentages. The percentages refer to the ratio of sheep sorrel root to the total sheep sorrel content in the formula. The information on this page and on this website is for historical and general information purposes only and should not be construed as medical advice. Click here to learn how to make Essiac tea. Click here to watch The Rene Caisse Story on YouTube. Click here to locate a naturopathic doctor at the American Association of Naturopathic Physicians.